actively staffed by the Coast Guard. 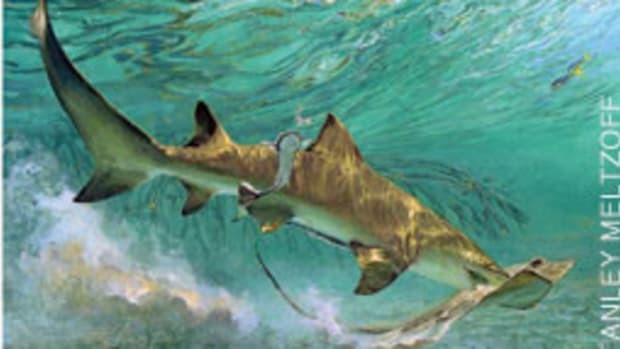 Florida has chosen four locales for pilot mooring fields, expecting that they will make cruising more enjoyable while spurring more communities to install moorings for cruisers. Mooring and anchoring have been controversial in Florida. Counties and municipalities often discourage both because they fear that visiting boats will damage seagrass, pollute the water and contribute to the number of derelict vessels. The state Fish and Wildlife Conservation Commission says managed moorings actually could relieve those problems. 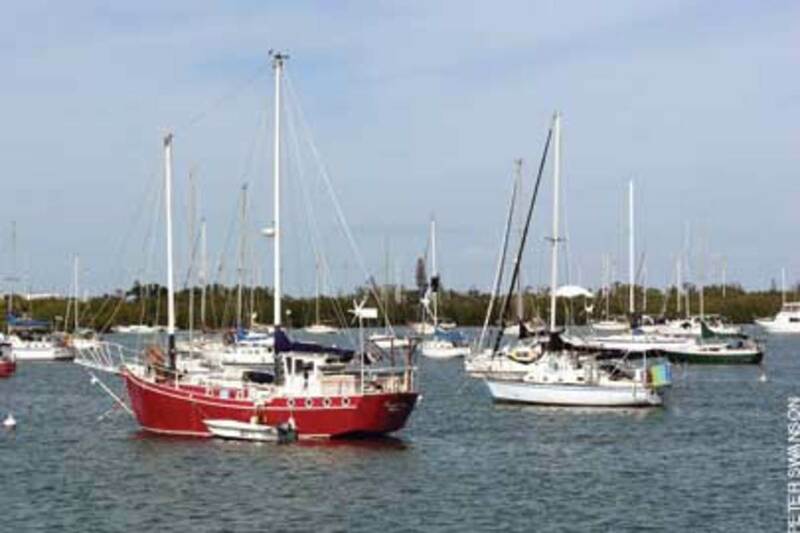 The commission has chosen Sarasota, St. Petersburg, St. Augustine and the Florida Keys (Marathon and Key West) for a three-year pilot project authorizing localities to set up mooring fields and write rules for managing both the moorings and the non-liveaboard vessels anchored outside them, says commission boating and waterways Capt. Thomas Shipp. “We want to develop and test policies and regulatory options that come out of it and see what works and what doesn’t work,” Shipp says. In 2014, the legislature and the commission will evaluate the pilot programs. The mooring and anchoring ordinances enacted under them will expire unless the legislature decides they are working satisfactorily and re-enacts them. Two years ago, the legislature amended Florida’s anchoring law, changing the definition of liveaboard to “any vessel used solely as a residence and not for navigation,” which means cruisers can’t be lumped in the same category with liveaboards. Florida law permits local governments to enact and enforce regulations that prohibit or restrict the mooring or anchoring of liveaboard vessels and floating structures, such as houseboats, but prohibits them from regulating the anchoring of cruising boats, except in permitted mooring fields. Under the pilot program, localities with managed mooring fields also can regulate non-liveaboard vessels outside those fields, but the rules they adopt, including anchoring restrictions, are subject to public hearings and commission approval. The moorings can be a real benefit to cruisers, says Claiborne Young, publisher of Salty Southeast Cruisers’ Net (www.cruisersnet.net), but he worries that the pilot program could become a Trojan horse. “The concern is that cities and counties — the less ethical ones — might try to use [the program] to prevent anyone from anchoring anywhere near a city’s waters,” he says. He says cruisers must be vigilant and attend the public hearings on the mooring-field rules. Sarasota is installing 130 moorings with a dinghy dock, pumpout and showers next to city-owned Marina Jack on Sarasota Bay. St. Augustine has installed 163 moorings in three fields — two off its seawall on the Intracoastal Waterway and a third across the ICW on Salt Run. St. Petersburg is installing 26 moorings in the Vinoy Yacht Basin that are scheduled to open in October. The Keys already has 226 moorings at Boot Key in Marathon and another 126 at Garrison Bight in Key West. On April 7, the commission approved Stuart and Martin counties’ joint mooring proposal — 51 moorings slated for the Indian River Lagoon south of Jensen Beach Causeway and 69 moorings already in place at Stuart’s Southpoint Anchorage — but the approval was withdrawn because the Indian River project lacked a permit. With permitting, it could be approved again. Derelict vessels — more than 1,800 of them in Florida in a 2010 commission study — are a blight on many waterways and a serious concern to waterfront communities. It’s such a problem, Young says, that many try to ban anchoring in their waters to keep the number of derelict boats in check, even though localities have no authority to regulate the anchoring of non-liveaboard boats. That is a state responsibility. “Derelicts are a problem, and anyone who doesn’t see this has his head in the sand,” Young says. Seconding that is David Morehead, guest services director at the St. Augustine Municipal Marina. “I think what we’re really looking for is a way to take care of the derelict vessels,” Morehead says of his city’s involvement in the mooring program. How might it do that? “That’s what we hope to find out with this,” he says. 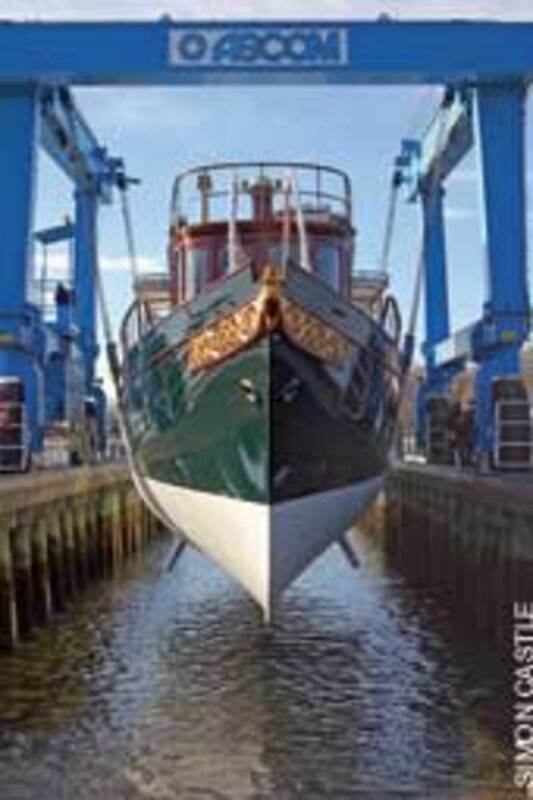 This spring, Wayfarer Marine in Camden, Maine, launched the 126-foot steam yacht Cangarda after winter work was completed. During its stay at the yard, Rainey’s Custom Yacht Refinishing repaired, faired and repainted the 1901-built vessel’s topsides. Longboarding the hull took several weeks. “Longboarding that hull was an extremely difficult task, and the results are excellent,” says Wayfarer CEO Susan Howland. Other work included the removal of the propeller and tail shaft so the cutless bearings and shaft seal could be replaced. Wayfarer fabricated several items for the boat, including new through-hull fittings. 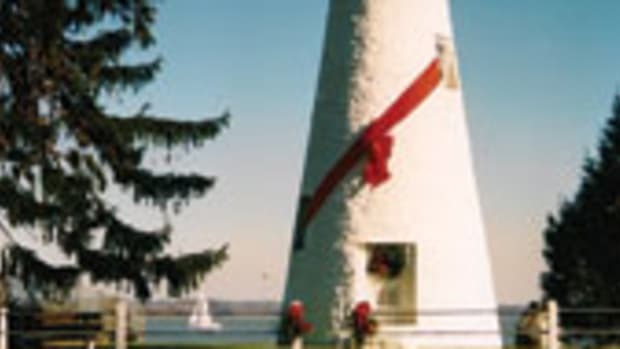 The stack was modified to facilitate the removal of a top section, allowing the yacht’s air draft to be reduced in preparation for an Erie Canal transit this summer. Cangarda got fresh varnish and the electronic, electrical and mechanical systems were modified and improved. Cockrell served in the Navy from 1942-1945, becoming a chief carpenter’s mate and learning boat repair and planing-hull design. Recalled during the Korean conflict, he was an instructor at the Damage Control School in Philadelphia. He completed his military service in the Coast Guard Reserve. Cockrell and his father had built Chesapeake Bay deadrise workboats, and after returning from World War II, he began building pleasure boats. Tiffany Yachts built more than 150 boats and many are still in use. Cockrell was joined in his business by his children and grandchildren. Last year, a fire destroyed the main shop he had spent a lifetime building, but Cockrell lived to see a new facility completed. He is survived by his wife, Elizabeth Lee Jones Cockrell, three children, nine grandchildren and eight great-grandchildren. Arent Hendrik Kits van Heyningen, founder of the company that became KVH Industries, died May 11 in Newport, R.I. He was 95. The Dutch electrical engineer immigrated to Canada in 1953, where he designed one of the first flight simulators for military aircraft. After moving to Newport, he joined the Raytheon Submarine Signal division in Portsmouth, where he worked as a principal engineer until retiring in 1986. In 1982, Kits van Heyningen started Sailcomp Industries with his two sons, Robert and Martin. Sailcomp became KVH Industries in 1986, and he was chief scientist until 2010. An avid sailor, he was a longtime member of the Ida Lewis Yacht Club. 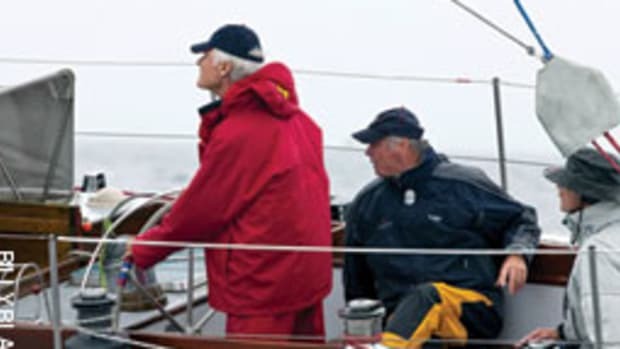 He sailed in many regattas, and last year, at 94, he became the oldest sailor to compete in the Newport Bermuda Race. He is survived by his wife of 58 years, his sister, two sons and four grandchildren. 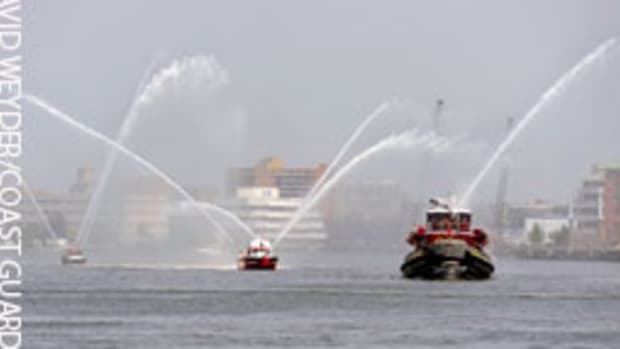 The Environmental Protection Agency tentatively determined that there are adequate pumpout facilities and that a proposal by the New York Department of Environmental Conservation to establish a no-discharge zone for Long Island Sound’s New York waters can go forward. The entire Connecticut coast is an NDZ, as is all of Rhode Island and most of the Massachusetts coast, with several pending NDZs along the south shore of Cape Cod. Beginning in June, the Chesapeake Bay Maritime Museum in St. Michaels, Md., will offer visitors a chance to get out on the water along Fogg’s Cove in a selection of the museum’s beautifully crafted wooden sailing and rowing boats. 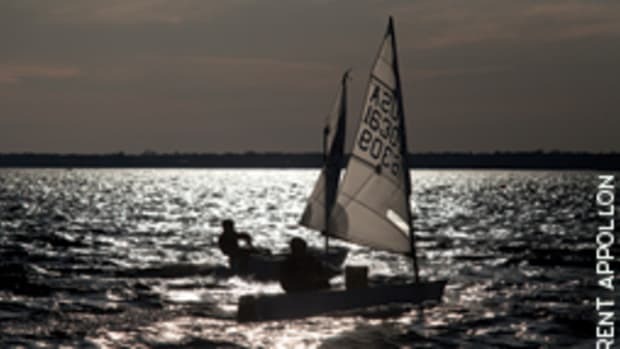 The Sailing Saturdays program will be held June 11, July 16, Aug. 13 and Sept. 17, with two sessions running from 10 a.m. to noon and 1 to 4 p.m. Boats range in size from 12 to 20 feet and were built in the museum’s Apprentice for a Day public boatbuilding program. 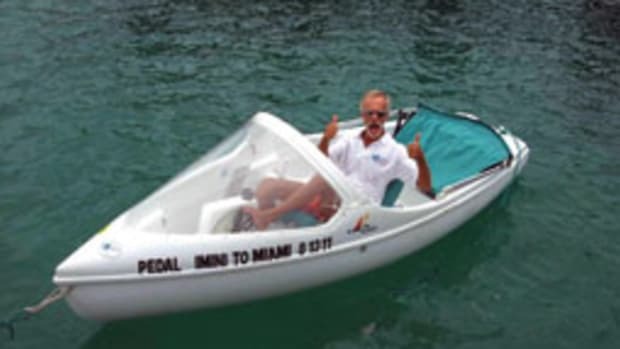 They are designed for one or two people, and instruction will be provided for beginning sailors or boaters. Recognizing Stanley Meltzoff&apos;s brilliant portrayal of the bluefin tuna, Tag-A-Giant, a Babylon, N.Y.-based non-profit dedicated to reversing the decline of northern bluefin tuna populations, awarded Marine Art Felowship status to the late artist. Tag-A-Giant also has partnered with Silfverfish Press, owner and administrator of the Meltzoff image library, to use some of his paintings in its public educational outreach and fund-raising initiatives. The joint effort between Tag-A-Giant and Silverfish Press will include the sale of a number of Meltzoff&apos;s "Bluefin Tuna Popping Baby Porcupine Puffers" lithographs from the early 1980s. 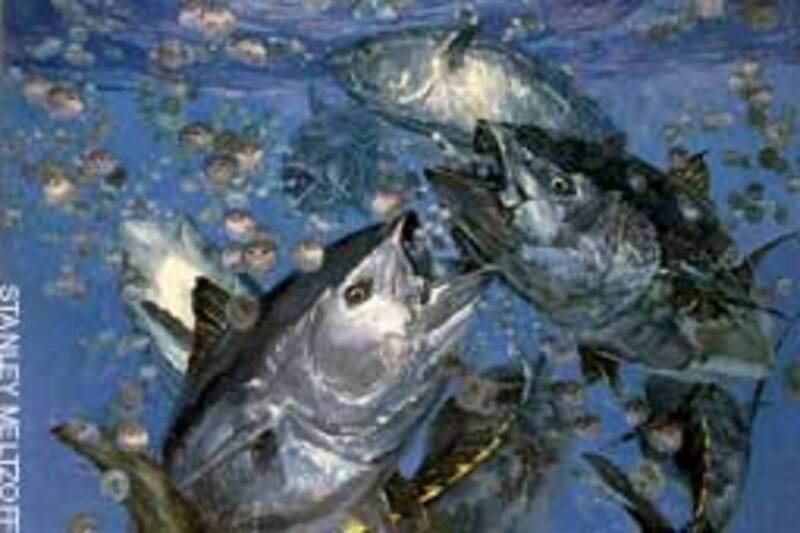 "I was aware of Mr. Meltzoff&apos;s reputation as a pre-eminent fish painter but was astonished ... when I saw how his art captured the bluefin&apos;s majesty on canvas," Tag-A-Giant director Shana Miller says. 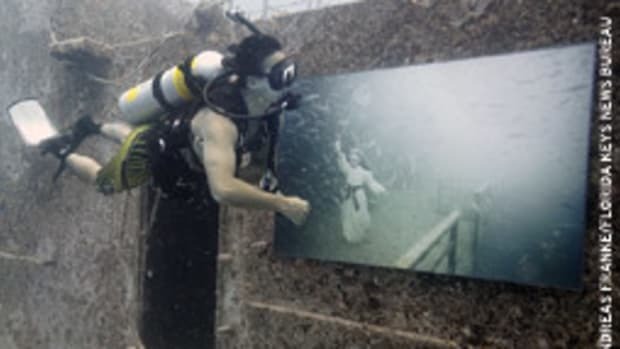 "Because he was so able to portray what we&apos;re now working so hard to conserve, his selection as our first Marine Art Fellow was an easy one." Mill Creek Marine — a dealership and service business formerly known as Johnson’s Boatyard — opened Rhode Island’s first enclosed drystack marina. Located on Allen’s Harbor at the Quonset Business Park in North Kingstown, R.I., the new facility can house 72 boats to 38 feet, and there are plans to increase the capacity to 168. Boats are stored in an enclosed, insulated and secure building. Customers who want to take out their boats call Mill Creek, and the staff puts them into the water for them. When they return from their outing, they simply tie up the boat. Mill Creek does the rest. The Maryland Natural Resources Police located 1,400 yards of illegal anchored gillnet in Chesapeake Bay that contained more than 3 tons of dead rockfish. On May 1, police received a report of an illegal anchored gillnet near buoy 82, west of Tilghman Island. Officers found the net but couldn’t retrieve it because of the weight of the fish it contained. On May 2, the Department of Natural Resources ice breaker/buoy tender Sandusky was sent to retrieve the net, but conditions prevented the crew from pulling it in. On May 3, with much improved conditions, the crew of the Sandusky and NRP officers retrieved 1,400 yards of anchored gillnet that contained about 450 striped bass weighing 6,750 pounds. Nearly all of the fish were dead and were taken to a landfill. The net appeared to have been out since January or February because of its condition and the number of dead fish. Anyone with information is asked to call the NRP Communication Center at (800) 628-9944. This year’s Castine Classic Yacht Race, sponsored by the Castine (Maine) Yacht Club, will celebrate the early 20th century designs of Nathanael G. Herreshoff. 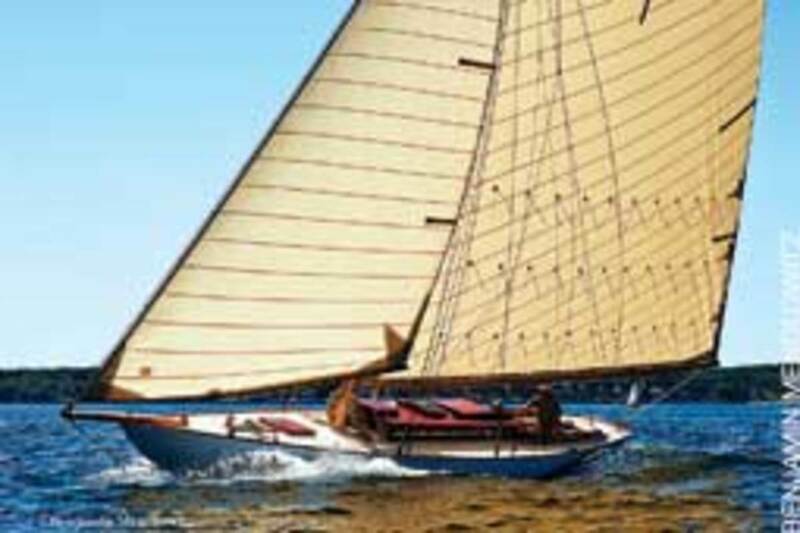 On Aug. 3, a rendezvous of yachts built by the Herreshoff Manufacturing Co. of Bristol, R.I., will be on exhibition at the Castine town dock, including two 44-foot NY-30s, Alera and Cara Mia (designed in 1904); the 59-foot NY-40 Rugosa (designed in 1915); and the 72-foot NY-50 Spartan (designed in 1912). The Castine regatta is believed to be the first time in more than 75 years in which yachts representing all three of these New York Yacht Club classes have competed. Other Herreshoff yachts that will be on hand include the 47-foot Nellie (built in 1902); the 49-foot Bar Harbor 31 Desperate Lark (built in 1903); and the 58-foot P-Class Joyant (built in 1911). 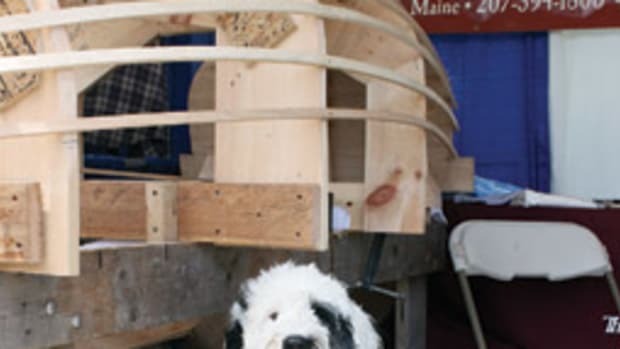 Nellie and Spartan were relaunched last year after multiyear restorations — Nellie at Warren Pond Boatworks in South Berwick, Maine, and Spartan at McClave, Philbrick & Giblin in Mystic, Conn.